I have been a sales and executive coach for many years. I talk to both new and seasoned sales professionals and business owners all the time. 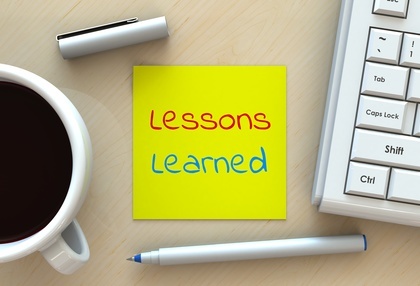 I would like to share with you some powerful lessons that have had a profound impact on me. I hope that these lessons will also have a significant impact on you and your business. Whether you want to work smarter not harder, achieve a better work-life balance, bring your business to the next level, increase revenue or take more time off, these lessons can help. Don’t live your life by default. Sometimes we fall into the day to day hum drum routines that consume time and energy without reflection. Live your life with deliberate actions. Be clear about what is important to you. Know exactly what you want to accomplish and why. Discover your talents, your passions and embrace them. Don’t let others decide for you. The life you create from doing something that is significant is so much more interesting and fulfilling when you design it with purpose and with intention. Don’t run from challenges – ever. The willingness to overcome difficult situations develop your abilities and skills and will help you grow. The best accomplishments are often hard to come by. Building a business and mastering the sales process is tough. Once you learn how to take on difficult challenges you will find that you can accomplish almost anything. Watch who you spend your time with. Relationships should help you. Surround yourself with people who support you, who you are and who you are aspiring to be. The people in your life make a big difference to how you feel in the present and how you perceive and create your future. It is important that we limit our time with people who zap our energy. You become like the people you surround yourself with, the books you read, and learning experiences you have. Are you in growth mode or just holding steady? Do the people around you pull you forward or hold you back? Do you seek out others who support you and your goals and dreams? 4 New opportunities are always out there waiting for you. I talk to many people who have had major upsets in both their business and personal life. Sometimes the setbacks are so severe that they don’t know how they will ever pull out of them. I tell my clients who are in difficultly and feel that they have run out of options that there are always new opportunities, new relationships and new situations in the future. The losses that we endure make us stronger, teaches us lessons and gets us ready for the next chapter of our lives. From early childhood, we’ve been taught to weigh out the pros and cons of a decision and not guess as which choice is best. This idea is reinforced throughout our lives. I’m not saying that this is a bad thing. But consider what Malcom Gladwell has to say in his book, Blink. He suggests that the tiny voice we hear in our head is often correct, even if logical evidence is to the contrary. Based on my own experience, my gut feeling is more often right than wrong. How about for you? Take a moment to think back to a time when you heard that inner voice. Did you follow it or ignore it, and what was the outcome? Much has been written about this. Simply stated, we attract into our lives what we think about and focus on. What most people don’t realize is that we often focus on those things that we don’t want rather than those things that we do want. We often express our desires in negative terms. For example, we might think that we don’t want to fail rather than we want to succeed. As you reflect on what you focus on, is it stated in a positive or negative way? Is it clear or vague? I have found that you become what you think about most of the time. 7 Embrace the power of decision. It happens to all of us. We become overwhelmed and can’t be clear about what to do. So, we do nothing. And this is deciding by default. I see this all the time. How many good ideas have you had about improving your business, yet you didn’t act on them? Perhaps you said to yourself, “What if it doesn’t work out” or “What will others think if it fails”? The best advice I can offer is to set some goals around what success would look like. Determine how much time is needed to see if the idea works. Then, evaluate your results against your goals. At that point you can decide to either, 1) Continue the practice because it worked so well, 2) Stop the practice because it failed to meet any of your expectations, or 3) Modify what you did as you achieved some but not all your expectations. Decide. Just decide to try a new idea. Move forward with a plan, evaluate results, learn from it, and move on. Struggling to meet your business goals? Try this.